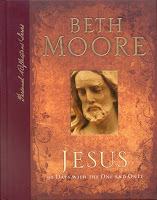 When this book first arrived on the shelves at LifeWay Christian Store I felt compelled to buy it. Right then. Trouble was, no money right then. So I waited. And waited. I soon forgot about it. More books arrived to pique my interest! Around Thanksgiving last year, Wanda and I had discussed both of us getting this book and doing the study together. I thought “what fun”! I could picture it in my head…(I am a dreamer), us sitting together at my house or at hers, talking, learning, sharing over a cup of some sort of delicious tea—and of COURSE one of Jeff’s incredible cakes! For my birthday this past year, Wanda gave me a gift card to LifeWay. She knew how much I enjoyed that store! She also bought one for Aimee—the baby sista—her birthday had been in August, but each one of us have a tendency to get so busy we sometimes are late with gifts for birthdays, you know how it can be sometimes! I left work one day at lunch and scurried over to LifeWay, this was in December, a few days after my birthday, and knew exactly what I wanted when I walked in. This Bible study. I was already currently involved in a study, but I was excited about doing this one. I had in my mind to buy one for Wanda too, as a surprise for her birthday in February so that we could do the study together. However, life changed. After Wanda left this life for the Greater Life, we stumbled around a bit—in search of ourselves. We are found in Him. Wanda gave Aimee her gift card to LifeWay, about a week after I had received mine. It wasn’t until after Wanda had passed away that Aimee used her gift card. Wanda was an exceptional mother and wife—like none other I have known. Today, she is with the One and Only! In His very presence! Oh, how I miss my darling sister. Even though I know she is happy and whole….I still miss those daily (sometimes 5 or more times a day) phone calls! I still miss her tiny frame sitting beside me in Wednesday Night Bible Study at church as well as on Sunday. Okay, I must stop here with this. Or the keyboard will become a bigger mess! So as we open our books to discover more about Jesus, our One and Only, let us empty ourselves of self. Allow Him to be poured into our hearts as never before. Something that I would like each of us to do as we begin, is put our heart’s desire onto paper. In black and white. A letter to our Lord and Saviour if you will. On the blank pages before the first study, write out what you NEED. What food you lack–nourishment for your soul. If you want to be more private (if you don’t want anyone to have access to your words), write in on a seperate page, seal it in an envelope and you may even want to secure (glue) the envelope to the inside of the hard cover of the book. At the end of these 90 Days with Him, reflect back over what you have written to the Lord of your life. See where you are spiritually. I would also like to propose a challenge to each one of us participating. Earnestly seek Him about something that we might need to lay aside for this period of study time. Perhaps television, or maybe another form of entertainment that may consume your time—time that you can devote to studying His word. Maybe one meal per day. Maybe—-hold on to your seat—-maybe “dessert”—for this time. I leave that between you and God. I’m only suggesting this. You may not feel led to lay anything aside. That’s fine. The point is to put our ALL into this study. Seeking the Lord each day with fervency before you go to your quiet place of study. Okay—I am posting this here as well as Sisters of Faith in plenty of time. The comments will be turned on over at Sisters of Faith—feel free to interrupt—with your thoughts—we will go back and forth with the conversation —sharing what we think—and feel with one another! There’s still time to get your book if you don’t have one. Join us—I think it will be good! For now the comments on my own blog will remain off so that I can devote myself more to the Bible Study. AND hopefully—the problem with my comments will get resolved. BUT you can e-mail me anytime at av_knight (at) hotmail (dot) com. I love you all! I am working on a wittle surprise….so maybe I can “prize” you this week!!! This entry was posted on Tuesday, August 19th, 2008 at 12:49 pm	and posted in For Sisters of Faith. You can follow any responses to this entry through the RSS 2.0 feed.